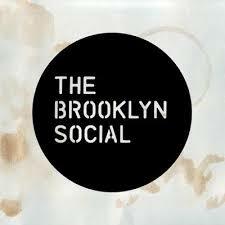 The Brooklyn Social is a unique Bar & Kitchen space, to eat, drink & socialise in any time of the day. Born & raised in Derby, Tom grew up working in bars, saving to fulfill his childhood dream of travelling America after university. It was there his eyes were opened to the immersive culture of dive bars & casual American drinking, that he now hopes to bring home to Derby via the bright lights of London. Drawing influences from his travels as well as his favourite watering holes in Shoreditch, Hackney & vibrant East London, The Brooklyn Social breathes new life into a beautiful Grade II listed building in the heart of Derby’s independent Cathedral Quarter. A two-month refurbishment will see a host of the building’s original features brought back to life alongside a vibrant & colourful backdrop of neon lit street art, antiques & vintage furniture. Set across three floors of Georgian architecture, the build will boast a stunning new bar, an exposed working cellar, vintage Photobooth & touches of Tom’s personality throughout. With a eclectic selection of character filled premium cocktails, super-relaxed dining in the form of prime locally sourced burgers & an unparalleled selection of exquisite beers from across the globe.